They have achieved a profound humility, which is best been defined as an intense self-awareness from a position of other-centeredness. Character is built during the confrontation with your own weakness. No person can achieve self-mastery on his or her own. Individual will, reason and compassion are not strong enough to consistently defeat selfishness, pride and self-deception. We all need redemptive assistance from outside. The kind of love that decenters the self. It reminds you that your true riches are in another. Most of all, this love electrifies. It puts you in a state of need and makes it delightful to serve what you love. Some people have experiences that turn a career into a calling. These experiences quiet the self. All that matters is living up to the standard of excellence inherent in their craft. In most lives there’s a moment when people strip away all the branding and status symbols, all the prestige that goes with having gone to a certain school or been born into a certain family. They leap out beyond the utilitarian logic and crash through the barriers of their fears. CEOhq's role is to foster relationships, community and process, to "turn on", enhance and magnify these characteristics within our community. Learning in community is the doorway to the possibilities of being this kind of person. The journey begins with an Individual Learning Plan and progresses to a Learning Community. Too often, we don’t realize the knowledge and potential that we have within the team or group of people we've assembled. In many cases, the insight and knowledge needed to solve a problem or identify an innovative way forward is right there inside the organization. The skill to unlock that knowledge and expertise is often found in the form of facilitation, or facilitative leadership. CEOhq's Facilitative Leadership Program, based on the work of Dr. Lee Thayer, author of “Leadership: Thinking, Being, Doing,” helps to unlock this knowledge and expertise. 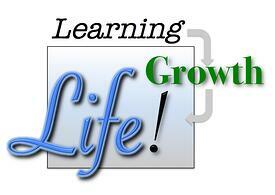 Dr. Thayer once said, "Learning leads to Growth leads to Life." Never have truer words been spoken. Do you want to learn more about creating an Individual Learning Plan, or how to build your organization into a Learning Community? Sign up for our FREE 1/2 hour consultation.